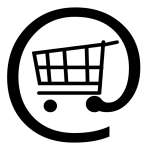 Merchandising products and services or facilities you can bought in shop on line (access through the icon. You can see the prices in the form. The payment is the same system that the registration has been made. The participant can buy at any time during the period between February 1, 2019 and May 27, 2019. All items ordered will be available for pickup at the event. Please note, we do not offer delivery. 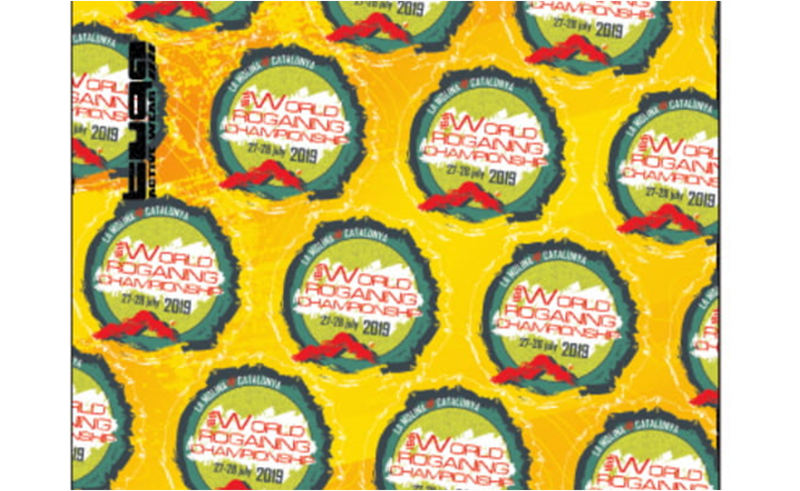 If you do not intend to visit WRC2019, ask someone who participates to pick up your ordered merchandise. 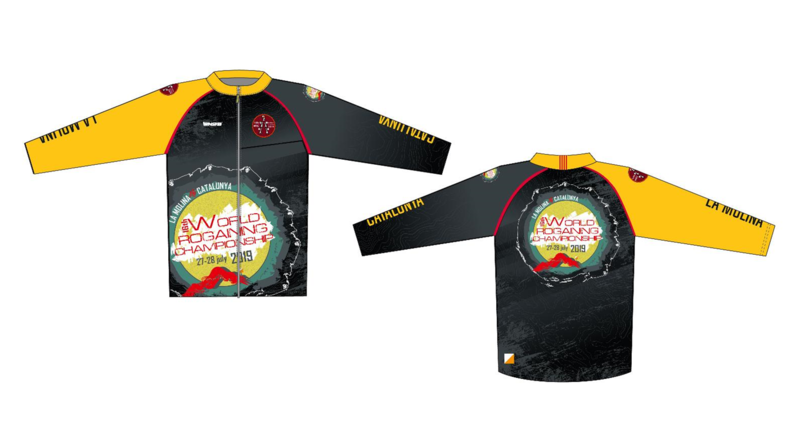 Tuga has designed for the WRC 2019 an amazing windstopper jacket in micro-tech, perfect for rogaining use due to their elastic and lightweight fibers. Material: 100% polyester, easy-care – machine wash at 40 °C. 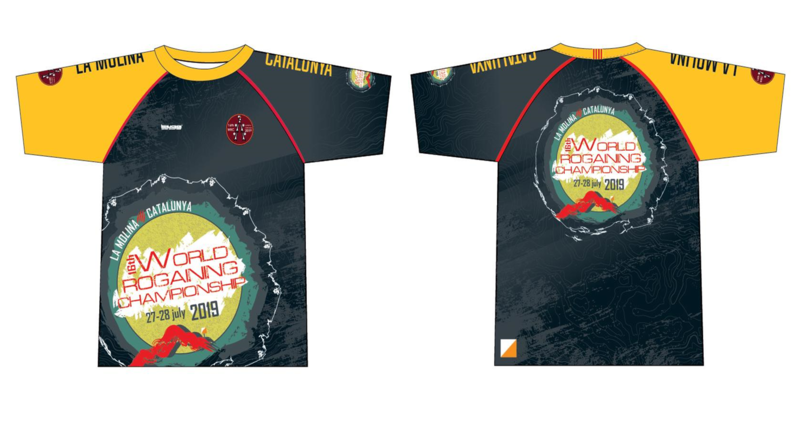 Tuga has designed for the WRC 2019 an amazing T-shirt, perfect for rogaining and to keep you cool and comfortable on all your runs. DRY TECH CNC/2 is a high-performance microfiber that moves sweat away from the body. Material: 100% polyester, easy-care – machine wash at 40 °C. Table for planning (free of charge). If there is a limited number of tables, you will make a reservation, as soon as possible, at our shop on line !! Additional northern-hemisphere compass will be provided at the event center. If you are interested, you can pre-order one and you will pick it up during registration. Further on, more information about this service will be published here. Accompanying persons and spectators (over 6 years of age) who are planning to stay at the Event Center, starting from the first night, they shall pay a spectator fee that includes 3-day camping and parking. In order to ensure the safety at the Event Center, during the competition and at night, presence without identification signs issued by organizers to all participants and spectators is prohibited. Additional hot meal will be provided after the finish of competition. There will be a veggie-menu option. There will be a veggie-menu option. Service available for order till June 30th !! Minibuss will operate transfer route from the “la Molina” railway station to event center (days before competition) and back (after competition) according to schedule below. Boarding on first come-first served basis. (*) Service available for order until all seats taken! Organizers reserve not to offer buses that do not reach a minimum demand.